Account-based marketing (ABM) is progressing from the early adopter stage to a more mainstream strategy for B2B marketers. In fact, ABM ranked far and away as the top tactic marketers said they were planning to test and deploy this year, according to Demand Gen Report’s Demand Gen Benchmark Survey Report. And among marketers already practicing ABM, 57% said they’ve increased spending in 2017, and—on average—they expect to spend 17% of their total budgets on ABM this year, more than double the 8% dedicated to ABM two years ago, according to ITSMA’s 2017 Services Marketing Budget Allocations and Trends survey. There are plenty of examples in the field and research that verify the investment pays off. Holistic and integrated account-based strategies are having a significant effect on key metrics such as deal size and pipeline. Marketers’ average annual contract value increased 171% after instituting ABM, according to research by TOPO, an advisory firm. 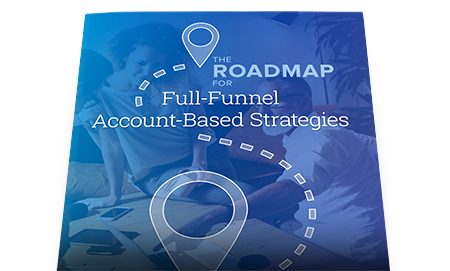 Download this report to learn about the latest tools, processes and reporting practices marketers are implementing to drive ABM success!